All entrepreneurs want to get their startup off to a flying start.And while obtaining plenty of funding is everyone’s main priority in the early development stages, focusing on seemingly small things can make a big difference. One such thing is an SSL Certificate, and in this article you will learn what is the best SSL Certificate for a startup. If you’ve just launched a company, chances are you haven’t thought about what SSL Certificate you’re going to install on your website. You’re probably busy pushing your name out there, reaching for investors and optimizing your major operations. But sooner or later your website developer will remind you about the need of a secure connection. 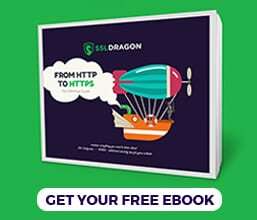 Your final say on what type of SSL Certificate to install could have a massive impact on your company’s growth and reputation. Nowadays, SSL Certificates are no longer a “should” but a “must”. Whether you’re running a blog or a FTSE 100 company, one of your main responsibilities online is to secure sensitive communications between your site and your visitors/customers. For a startup, no matter how promising it is, not having an SSL Certificate on its site sends the wrong message to potential clients and investors. So, what’s the best SSL Certificate for a young company aspiring to be successful? Many SSL experts believe that if you’re not an e-commerce site or a financial institution, a Domain Validation Certificate (DV) is enough for a startup. The main arguments in its favor are cost-effectiveness and convenience. Indeed, it’s cheap and easy to obtain, but does it offer the level of trust your startup desperately needs? We don’t think it does. When you’re starting a business venture, your main goal is to lay a solid foundation. You must appear trustworthy and professional, so investors are happy to fund your project. You need to be transparent about your company’s details and activity, and here’s where Business Validation (BV) or Extended Validation (EV) SSL Certificate come into the equation. 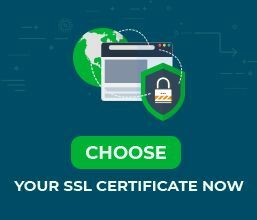 A BV SSL Certificate should be the bare minimum investment to secure your website’s connection. It will significantly improve your overall reputation and the perception of your business as a whole. It will be proof to every visitor that a real company is behind the website. A BV Certificate will also encourage potential business partners to reach you. But you can go a step further and ensure that your new company’s name is in plain sight. For this, you need an Extended Validation SSL Certificate. The EV certificate is the ultimate SSL product and the best SSL Certificate for a startup. It comes with the famous green bar next to your site’s URL, where you can place your company’s name. For a startup, that’s an easy but efficient way to gain more online presence and credibility. The EV SSL brings the highest level of customers’ trust. As a result, your brand image is growing, your conversion rate is increasing, and your online safety record remains impeccable. Obviously, you’ll need a larger budget for an EV Certificate, but it’s well worth it in the long run. Don’t think about it as a security instrument only. Think about it as a versatile tool that can strengthen the general public opinion about your startup. SSL Dragon is home to great deals and regular discounts on a wide range of SSL certificates. With our handy Certificate Filter, you can sort and compare various products, and eventually choose tthe best SSL Certificate for a startup. Don’t penny pinch on DV Certificates for your startup. Opt for proven BV or EV certificates instead, and give your young company the best start possible in a competitive environment.